Joan has been raising, training, breeding and showing dogs for 60 years. She has trained and shown successfully in conformation, obedience, and agility; beginning this life long passion with her favorite breed, St. Bernards. She began breeding Beagles in 2004. Everwind Beagles began with Ch. 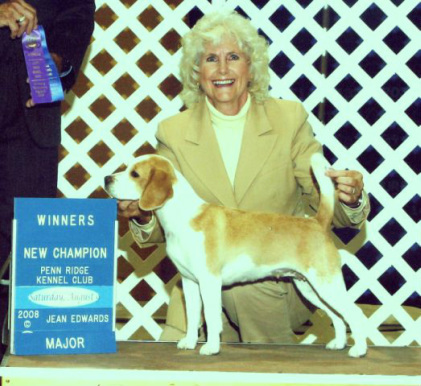 Tung’s Everwind Talia who was purchased as a puppy and the first Beagle Joan finished for a championship. Talia was bred to the famous Uno’s (Ch. K-Runs Park Me In First – The first Beagle to ever win Best In Show at Westminster) father, GCH. Windkist A Walk In The Park (Parker) for two different litters. The first litter consisted of three puppies. Two are champions, Specials at that, and have group placings to their credit. They are GCh. Everwind’s A Tryst In The Park and Ch. Everwind’s Taylor Maid To Fit. The third has 31 points with a 4pt. major before being pulled from the show ring. And the second litter gave us GCHB Int. Ch. Everwind’s A Chance Encounter In The Park. Joan's Beagles have been recognized worldwide for their quality, correctness, and for conforming to the breed standard. She has bred and shown four generations to their champions and beyond and has fourth generations puppies that show promise of continuing her winning ways. Furthermore, Joan is proud to welcome Jordan LaPlaca as a partner in her Beagle breeding program. 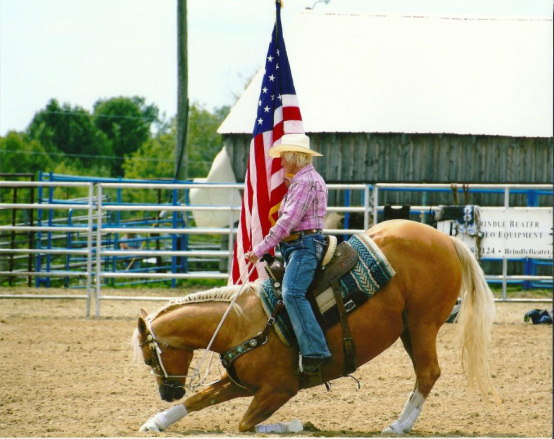 Jordan makes his living as a professional horse trainer and competitor in the discipline of Dressage. He is a Silver Medalist with 2 legs earned toward his Gold Medal. He is qualified in FEI dressage training as well as FEI combined driving, competing both nationally and internationally. He always had a love for and interest in animals and was an avid 4-Her growing up. Mostly he showed sheep, winning regional and national awards. The showing and grooming experience he gained while working with the sheep made the transition to grooming and showing dogs quite easy. He has developed quite an eye for a good animal be it a horse or dog. He has been breeding Beagles for only a few years, but has the right ideas on striving for breeding quality dogs and goes the distance to do so. Jordan has a degree in Veterinary Technology which has been very helpful to him in caring for both his horses and dogs as needed. He is a real asset to Everwind Beagles.